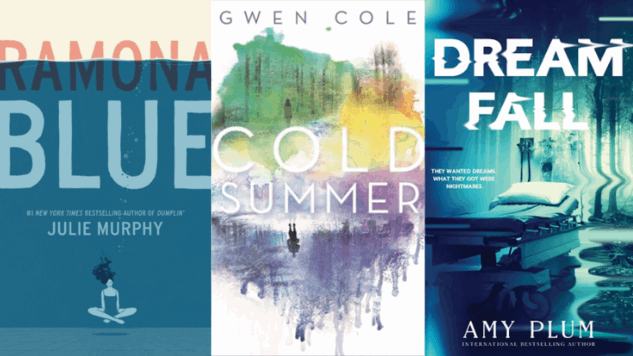 May is a fantastic month for Young Adult books, boasting highly anticipated debut novels, thrilling new series and more. From a historic fantasy novel that reads like The Time Traveler’s Wife written by Ruta Sepetys to the most spectacularly geeky novel I’ve read all year, this month’s best YA books offer amazing reads. Why You’ll Love It: Have you ever read The Time Traveler’s Wife? 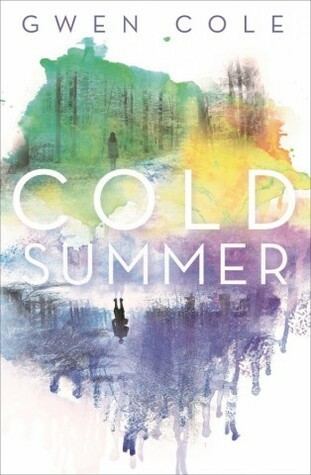 You’ll discover the same level of emotion woven throughout Cold Summer. The novel delivers a gorgeous journey through a meticulously researched world, as Gwen Cole drops her main character into the trenches of World War II—and then returns him to the present. It’s a story of friendships and mental health, and it’s spectacular. Description: Today, he’s a high school dropout with no future. Tomorrow, he’s a soldier in World War II. Why You’ll Love It: The international bestselling author Amy Plum is back with a new series that’s sure to thrill readers who loved her After the End and Revenants books. If you’ve read any of her other novels, you’ll know that Plum is amazing at genre blending. 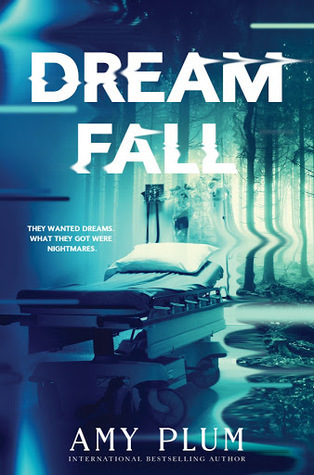 And in Dreamfall, she combines elements of sci-fi and fantasy to tell a story of mysterious dreams and darkest fears. Description: Cata Cordova suffers from such debilitating insomnia that she agreed to take part in an experimental new procedure. She thought things couldn’t get any worse…but she was terribly wrong. Why You’ll Love It: A novel that reads like a warm summer afternoon, Laura Silverman’s debut is a charming novel full of diverse characters. It’s the sort of story that feels so very real, with teens wrestling with complicated families and distance from loved ones. Description: Anise Sawyer plans to spend every minute of summer with her friends: surfing, chowing down on fish tacos drizzled with wasabi balsamic vinegar and throwing bonfires that blaze until dawn. 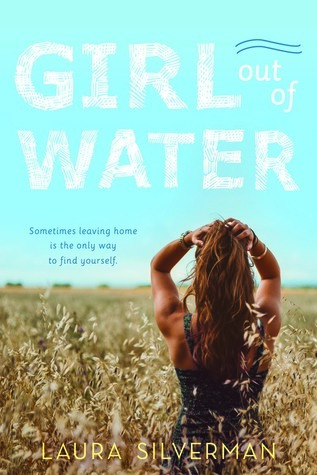 But when a serious car wreck leaves her aunt, a single mother of three, with two broken legs, it forces Anise to say goodbye for the first time to Santa Cruz, the waves, her friends and even a kindling romance, and fly with her dad to Nebraska for the entire summer. Complicating matters is Lincoln, a one-armed, charismatic skater who pushes Anise to trade her surfboard for a skateboard. As Anise draws closer to Lincoln and takes on the full burden and joy of her cousins, she loses touch with her friends back home—leading her to one terrifying question: Will she turn out just like her mom and spend her life leaving behind the ones she loves? Why You’ll Love It: Before you give someone an Ashley Herring Blake novel, you should immediately say, “I’m going to need you to sit down.” That’s how emotionally intense her books are. Suffer Love promises yet another story of complex families and explores the strength that comes from truly connecting with someone. Blake makes the pain on the page feels so real, and that—coupled with a diverse cast and inclusive story—means there’s so much to fall in love with here. 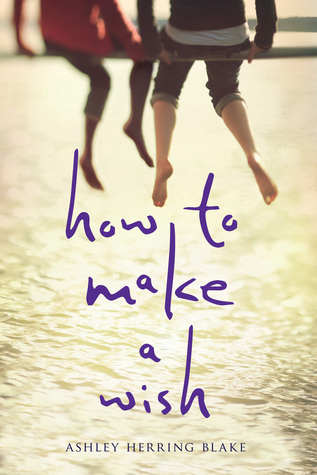 Description: All 17-year-old Grace Glasser wants is her own life. A normal life in which she sleeps in the same bed for longer than three months and doesn’t have to scrounge for spare change to make sure the electric bill is paid. Emotionally trapped by her unreliable mother, Maggie, and the tiny cape on which she lives, she focuses on her best friend, her upcoming audition for a top music school in New York and surviving Maggie’s latest boyfriend—who happens to be Grace’s own ex-boyfriend’s father. 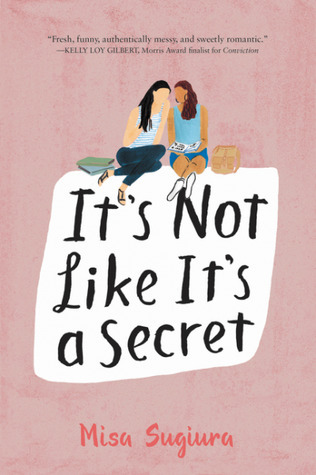 Why You’ll Love It: From the diverse cast of lovable characters to the inclusive love story, there’s so much in this wonderful debut that makes it one of my favorite books of this year. It’s Not Like It’s a Secret isn’t just about the secrets that Misa Sugiura’s main character, Sana, hides. It’s about feeling out of place, even when you are surrounded by people. The fact that it’s peppered with poetry makes it all the more delightful.